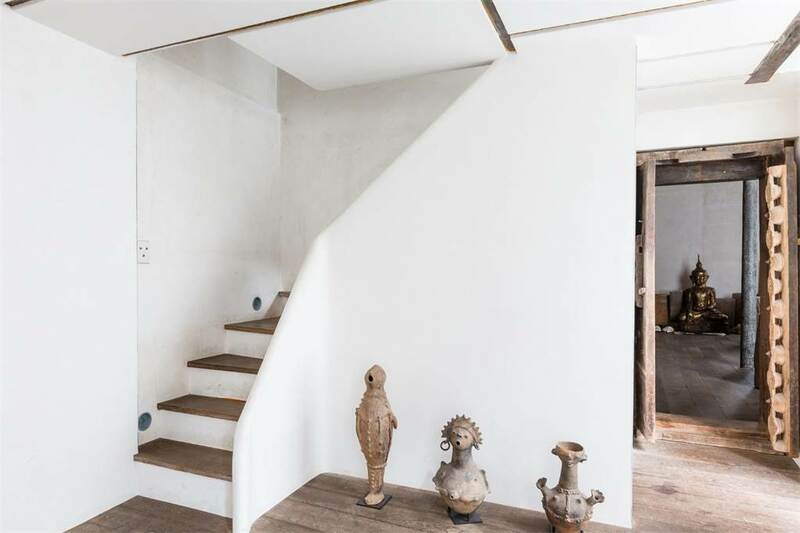 ¡Muy Bien! 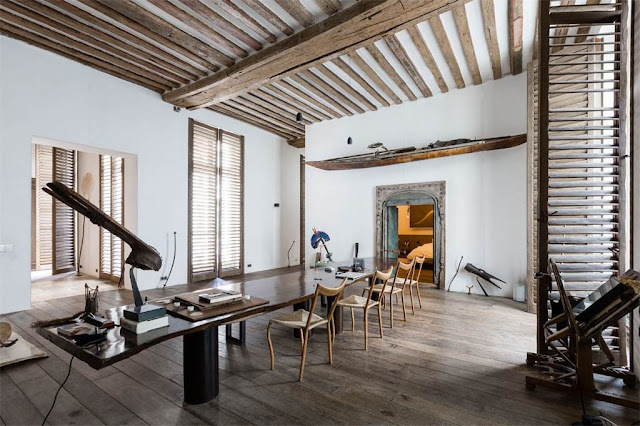 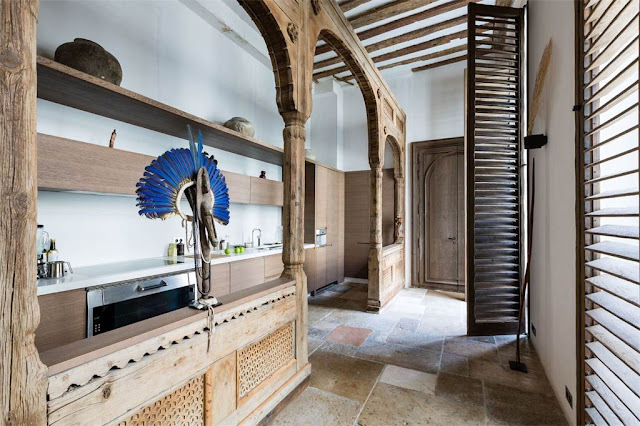 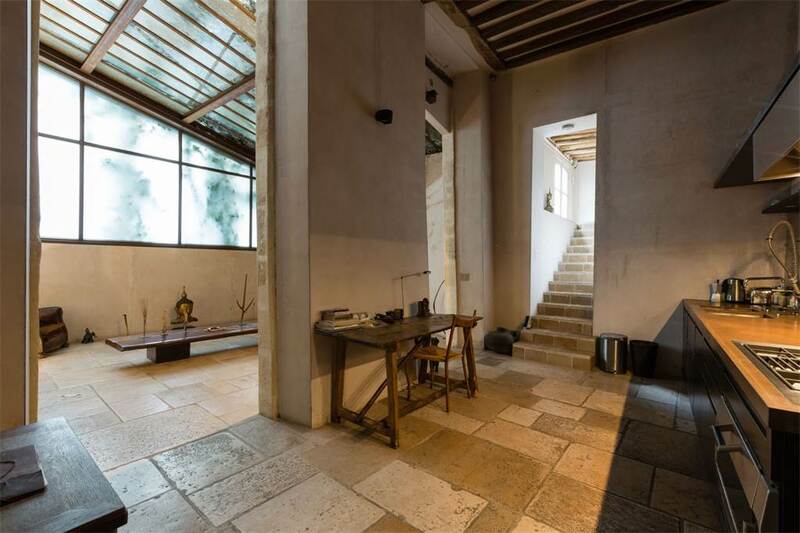 : ¡When East meets West in a French Loft...! 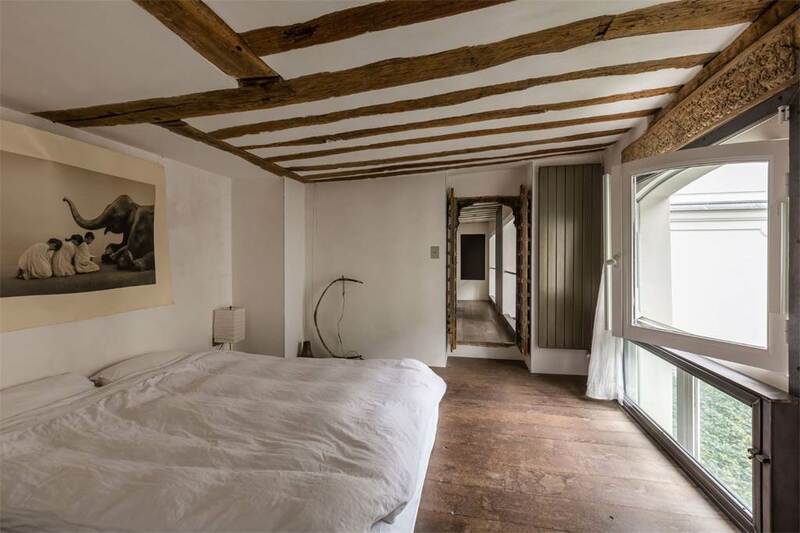 ¡When East meets West in a French Loft...! 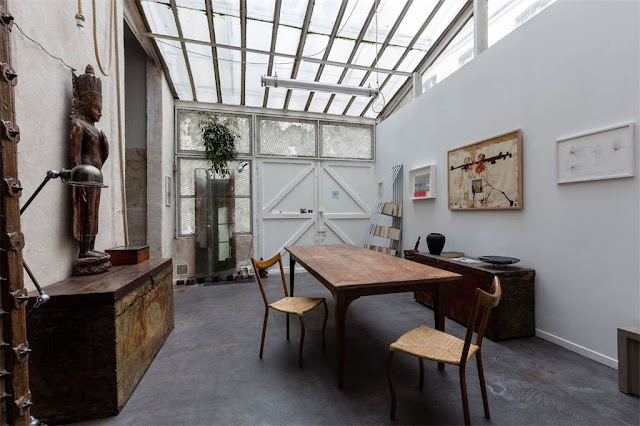 How I love the beautiful large an mostly weathered and industrial spaces, where a lot of authentic details find their way as a home. 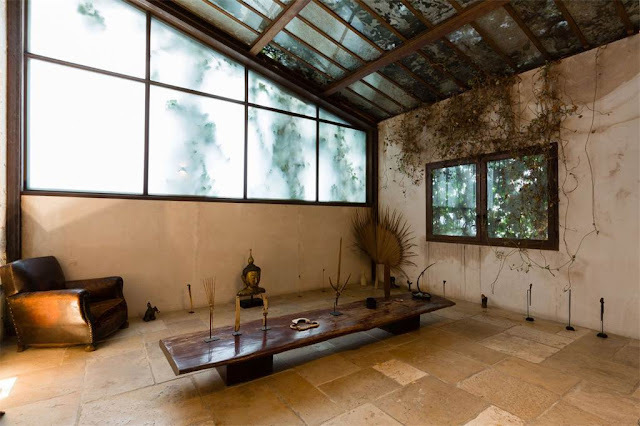 In this beautiful large Paris Loft, a lot of beautiful Indian woodwork and Asian elements like Buddhas had been added. 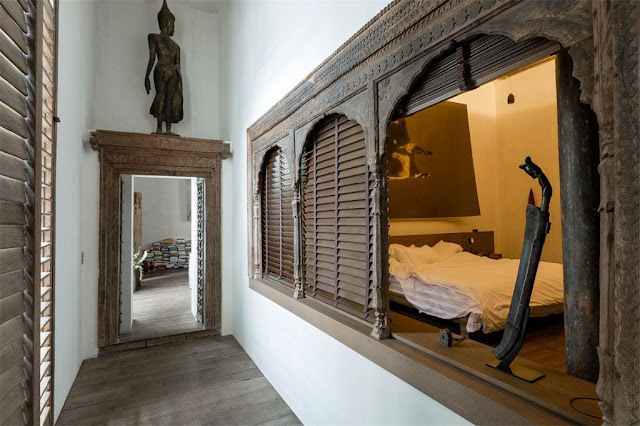 Though the windows give it an Atelier atmosphere, the wooden doors and windows makes you feel like being in a Morrocan Riad. 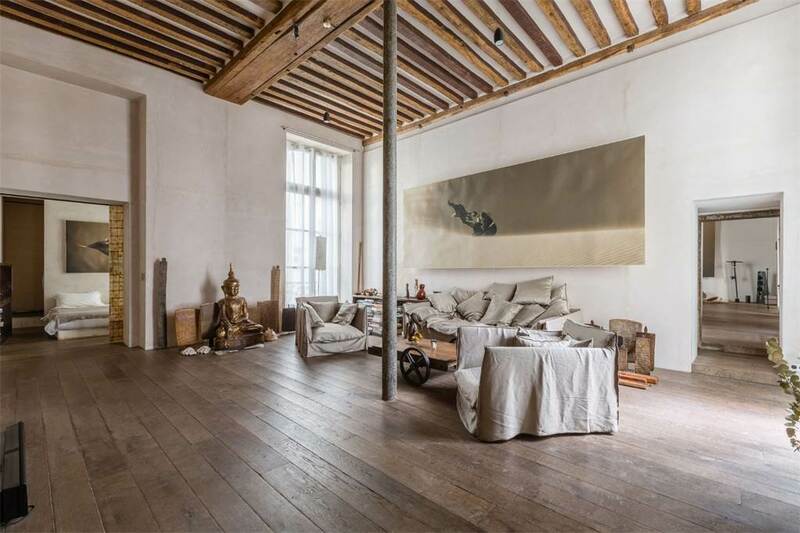 The loft is totally decorated in soft natural tones and fabric..
incredible place! i would like to see this house from outside, factory?? 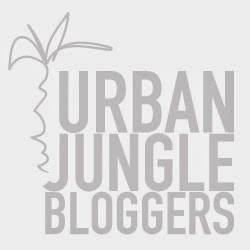 ¡Urban Jungle Bloggers: New Beginnings!